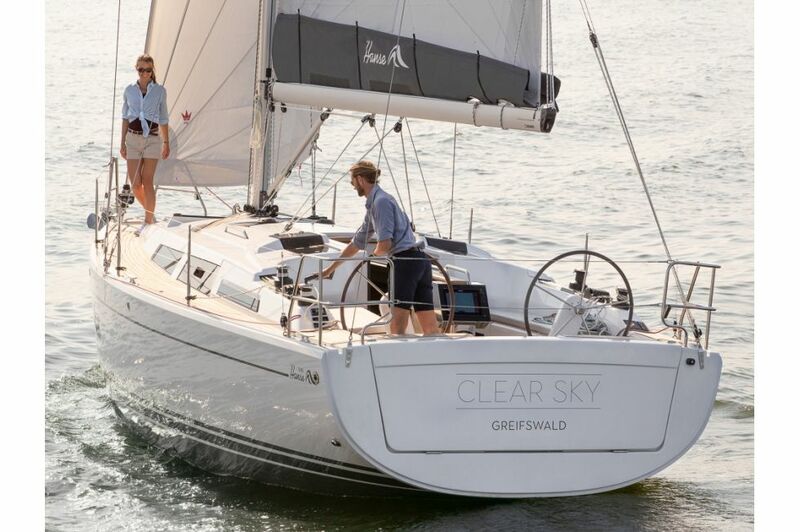 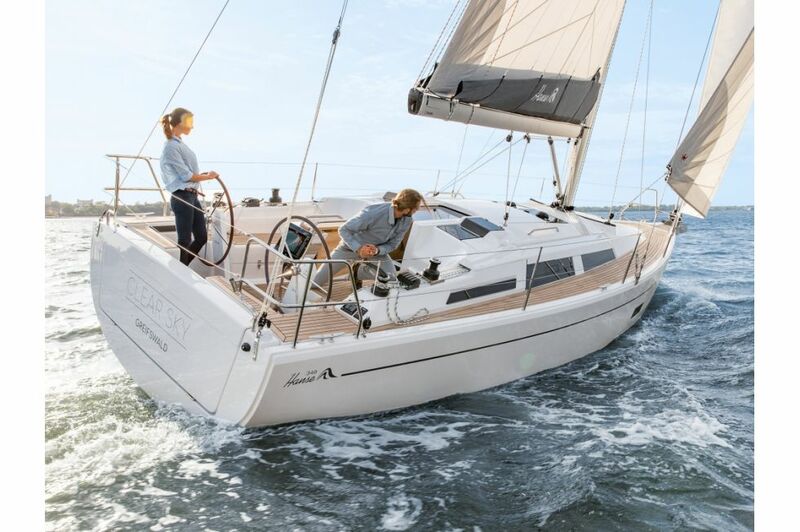 Get sailing with the new Hanse 348! 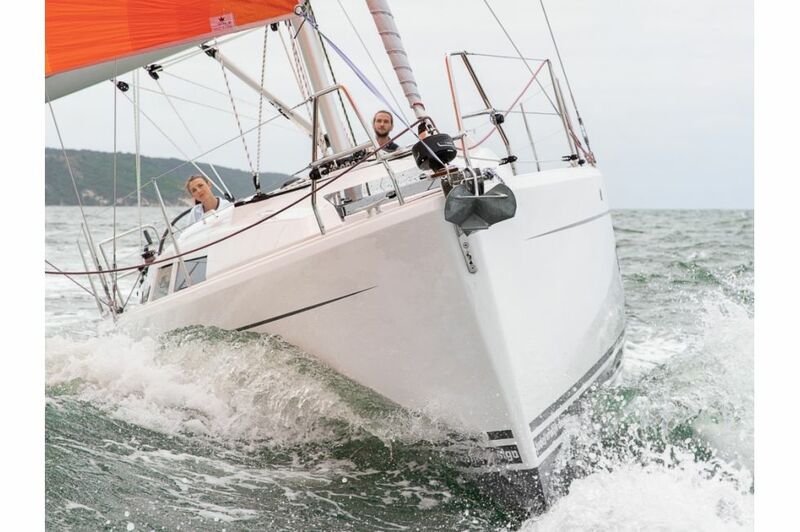 Its high rig and sail plan is packed with enormous performance to deliver a maximum of speed – without compromising the easy sailing experience and handling in any weather. 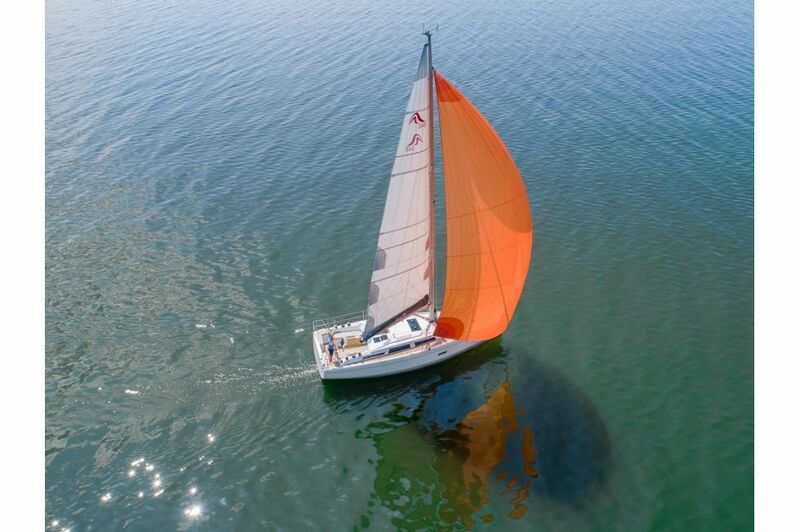 The wind is free and so are you to enjoy it! 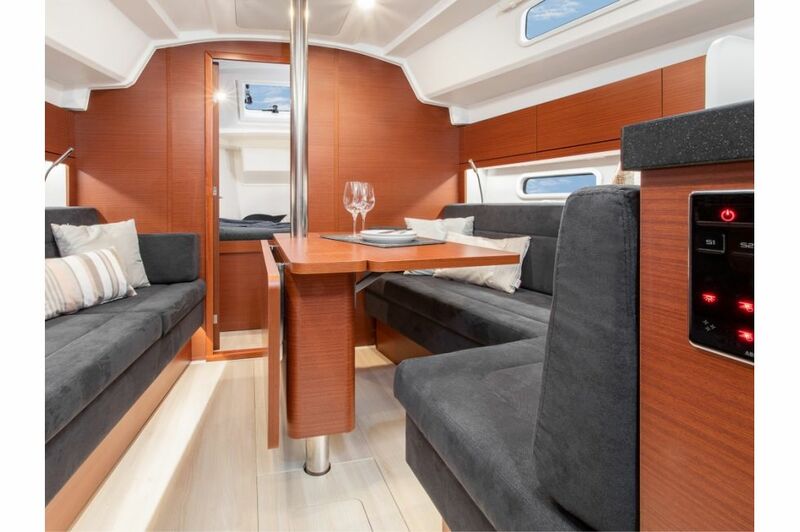 This joy can also be found below deck, where you can breathe in the fresh sea air whenever you like from the many portholes, which is unique for a yacht of this class. 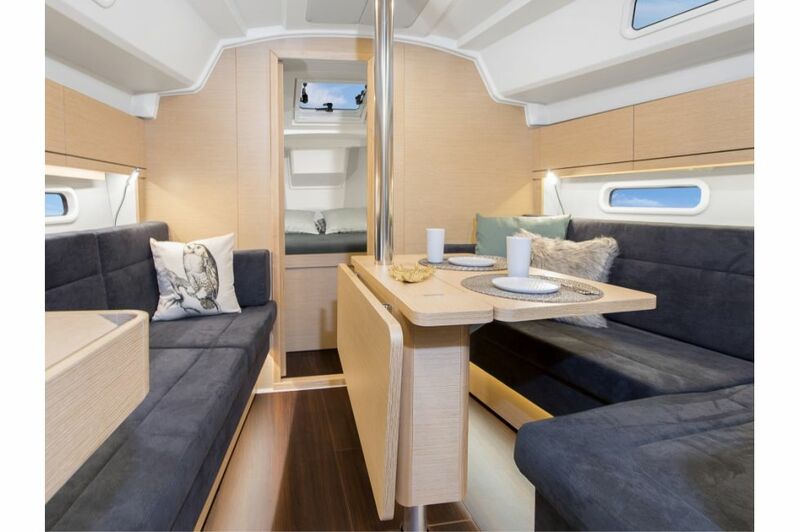 At the same time, the windows turn the saloon into a cool, sun-filled lounge that you have designed individually with elegant wood and our one-of-a-kind fabrics and décor. 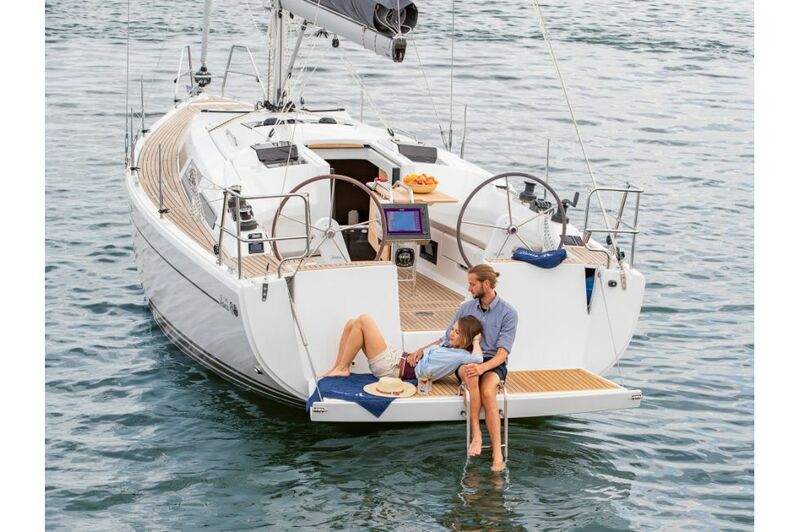 With Hanse, you have a progressive yacht that makes a statement. 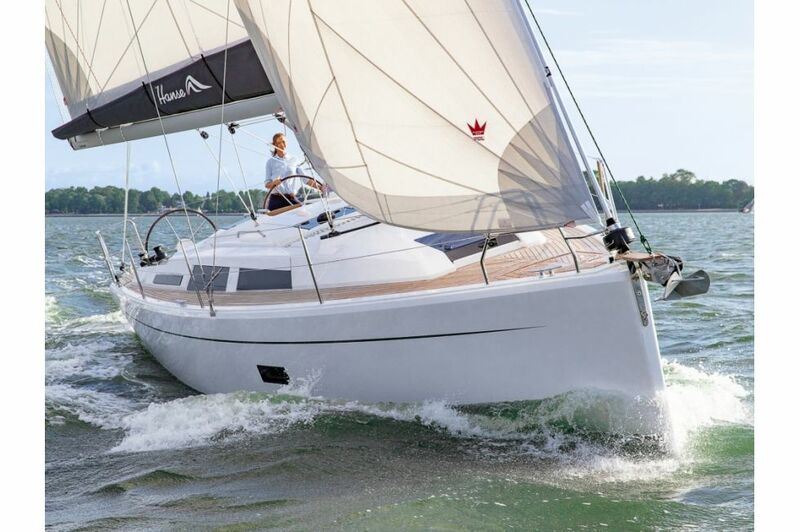 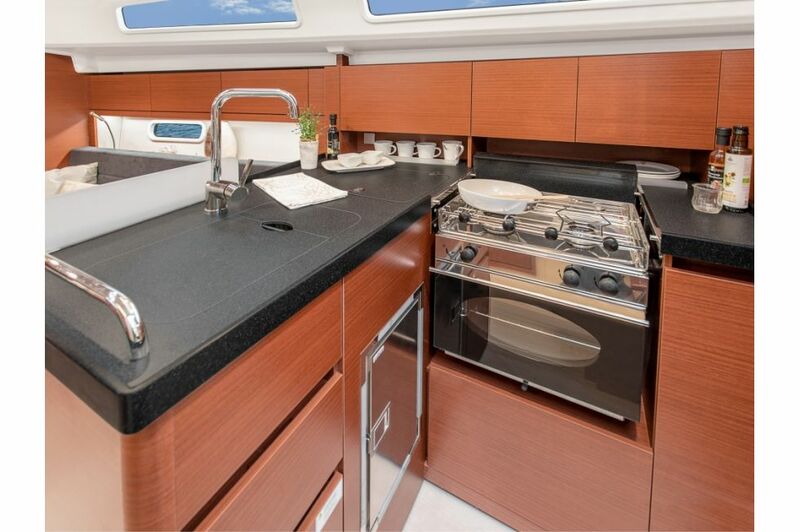 Technical innovations and quality in every detail are just as much part of the Hanse 348 as are an emotional design and comfortable atmosphere of well-being. 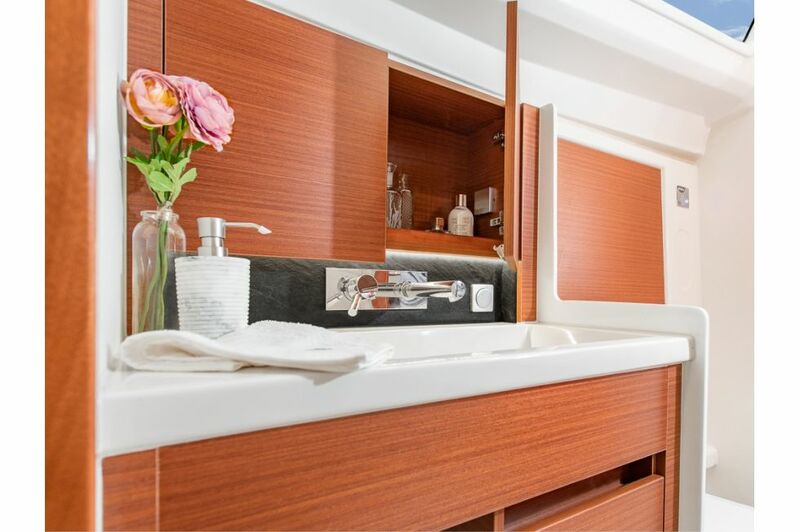 Each detail is a subtle expression of superior design. 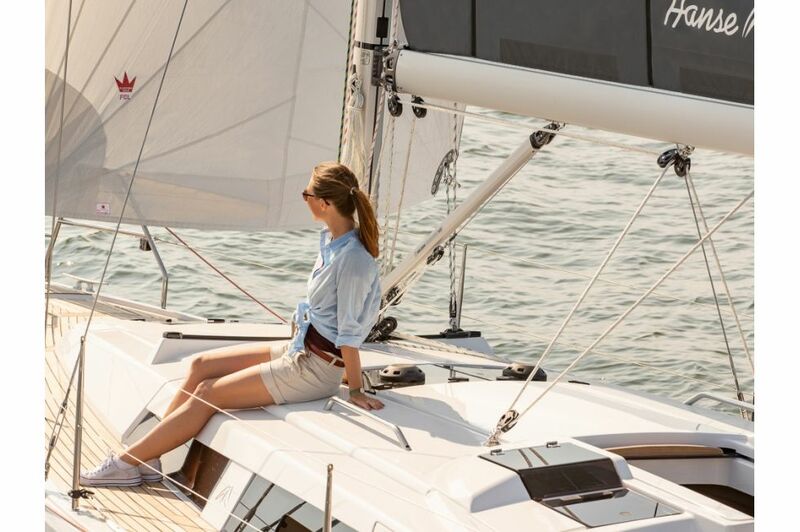 The well-orchestrated ensemble of advanced technology and its integration is the highest art of yacht design at Hanse – and what drives us to create the perfect yacht. 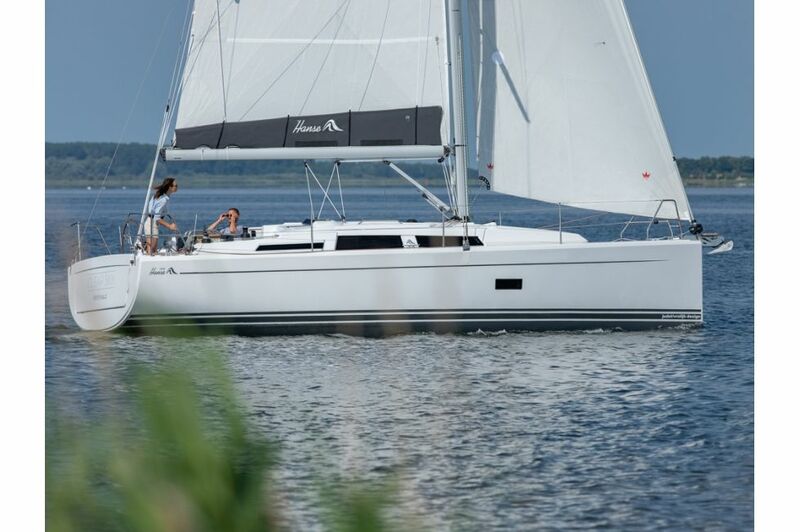 Wherever you sail – your Hanse is one of a kind. 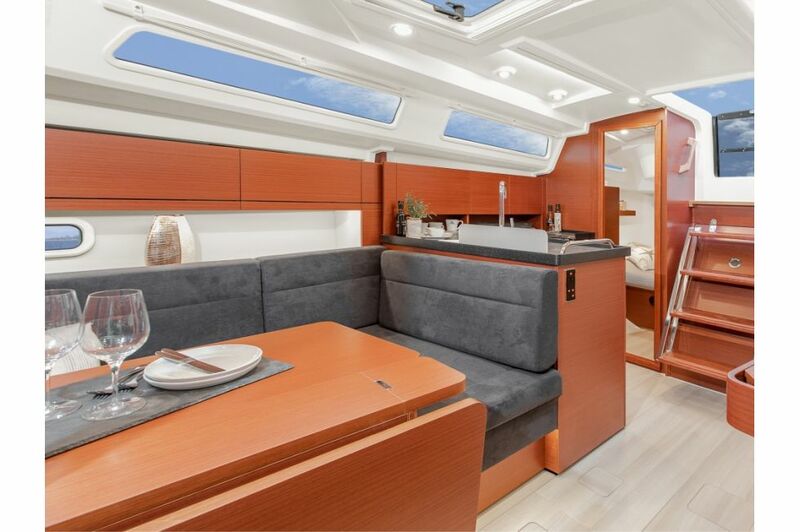 You choose the colour of the hull and which upholstery you would like to catch your eye. 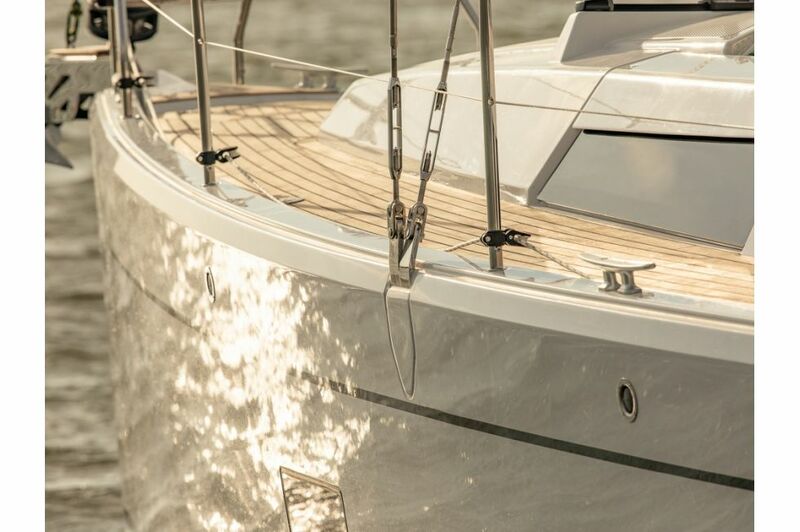 On deck, the decision of which technical equipment to include on your Hanse yacht is all yours. 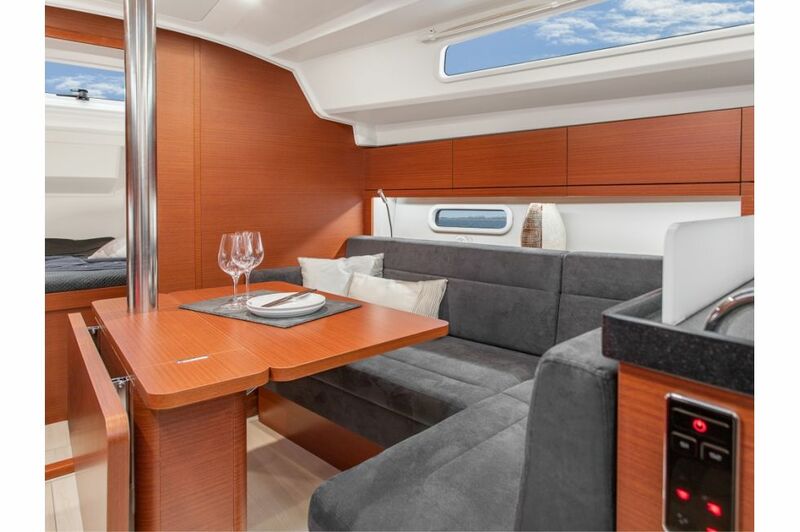 The interior also carries your signature. 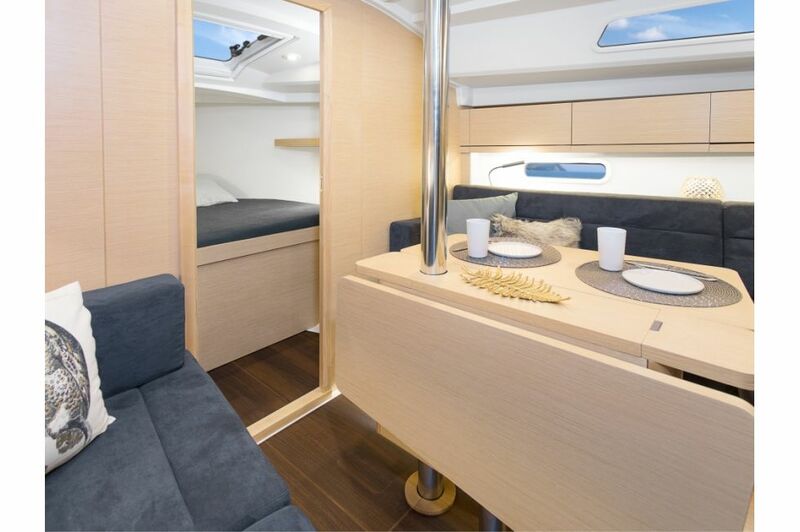 Enjoy the freedom in the open sea in a modern loft atmosphere or surrounded by maritime elegance. 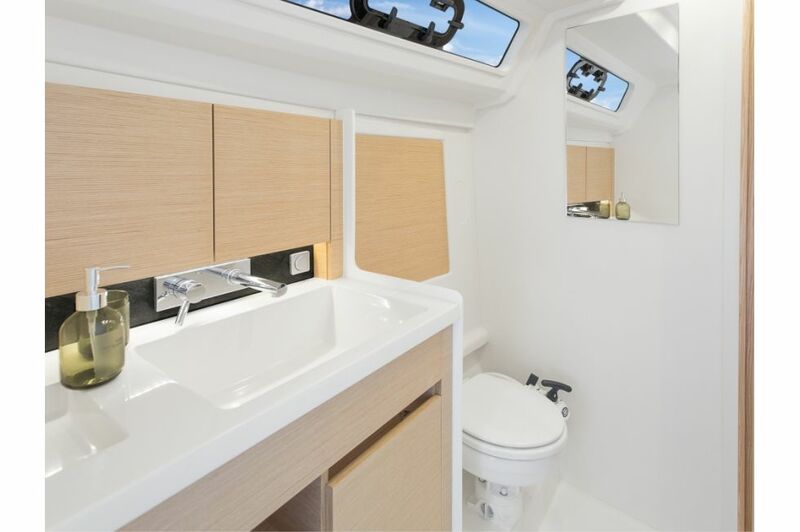 High-quality materials and exclusive fittings await you. 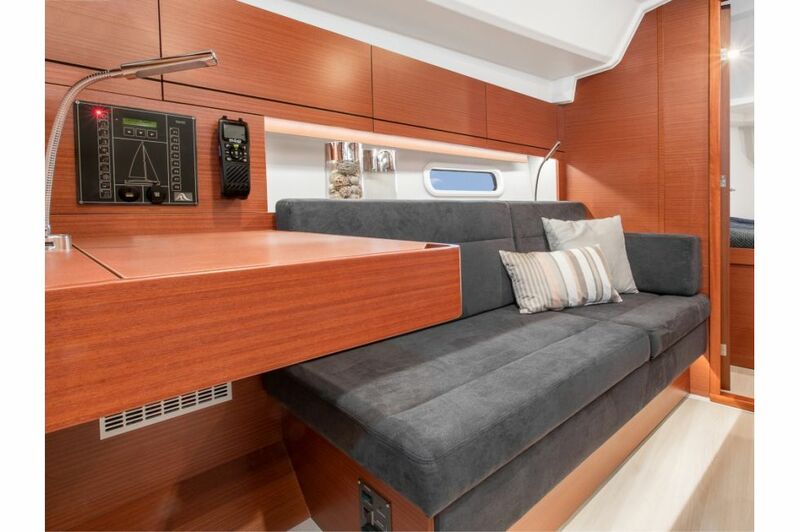 Enjoy the impressive character of your yacht even more and revel in its progressive design down to the subtlest detail. 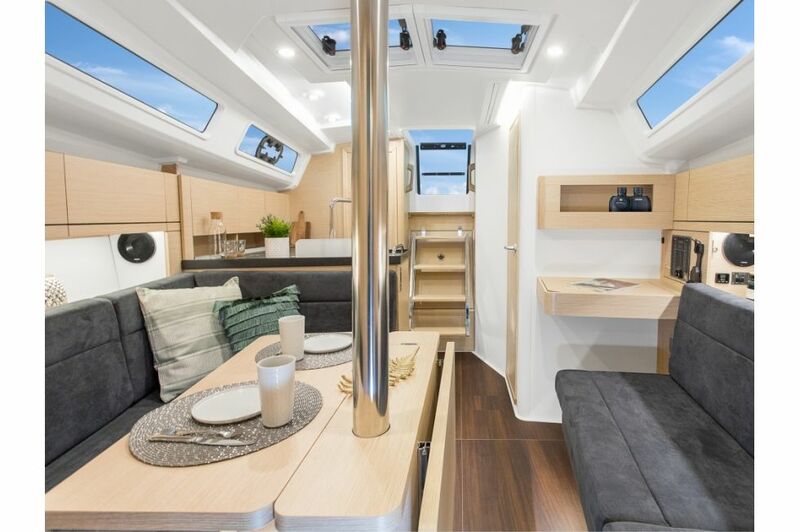 With the optional Hanse Comfort Package, you can accentuate your Hanse yacht with a host of extra highlights. 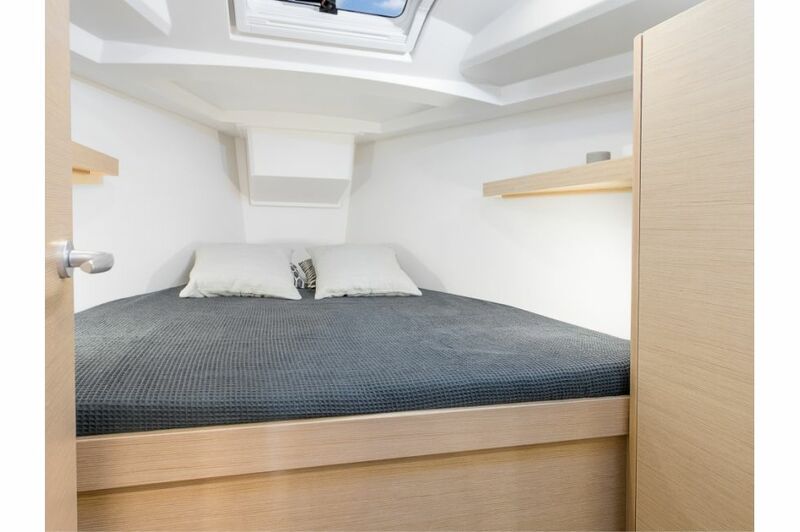 The package consists of furnishings and fittings which perfectly cater to your needs and make your every wish a reality. 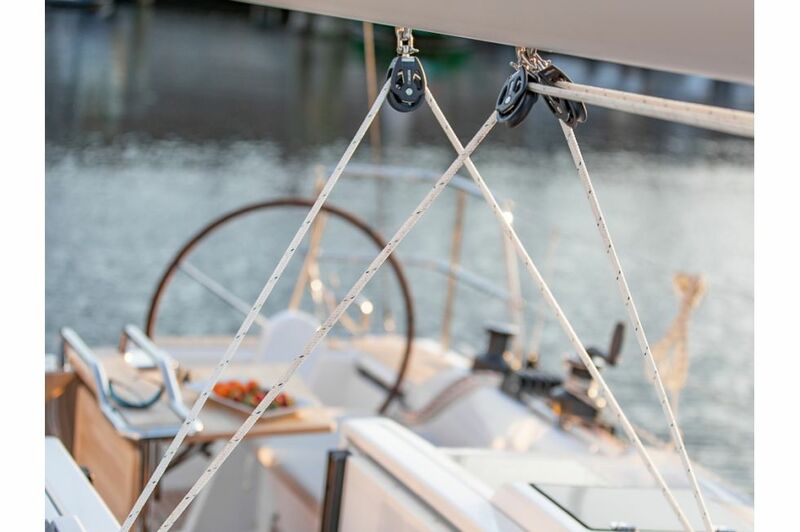 Make your Hanse yacht truly yours with customised accessories. 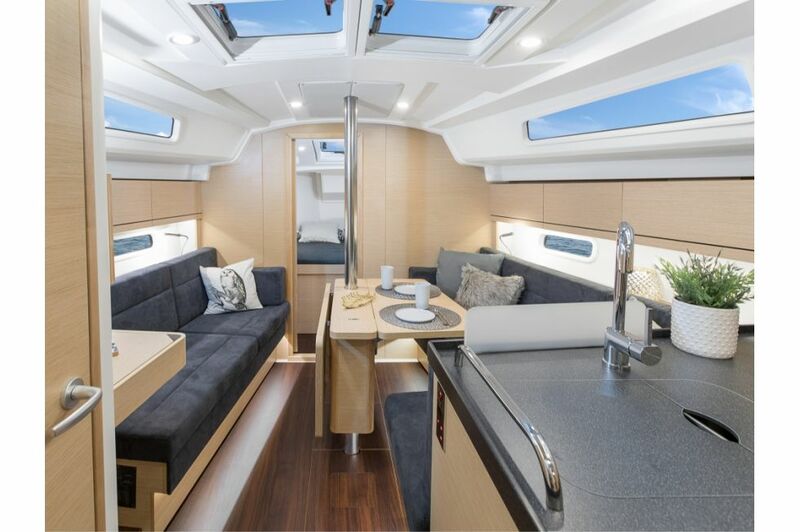 The Cruising Package offers a host of diverse extras and versatile options for you to give your yacht just the performance and highlights you desire. 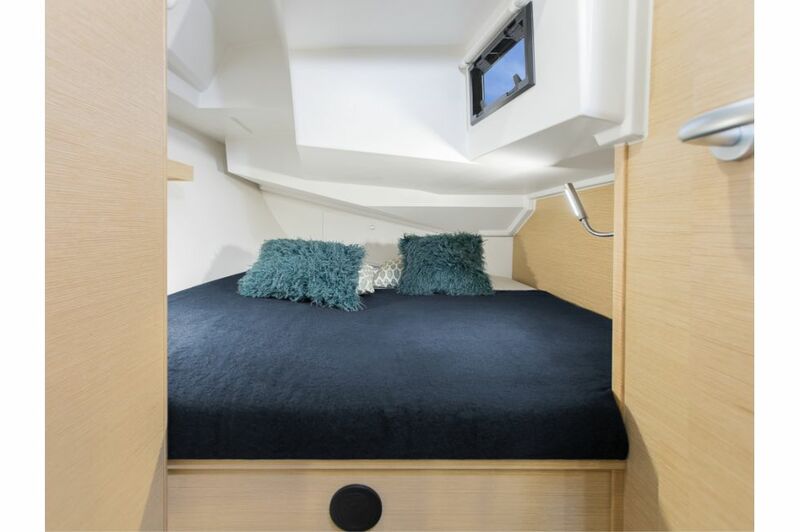 Tailor your Hanse to be in perfect harmony with your life and individual needs, down to the minutest detail. 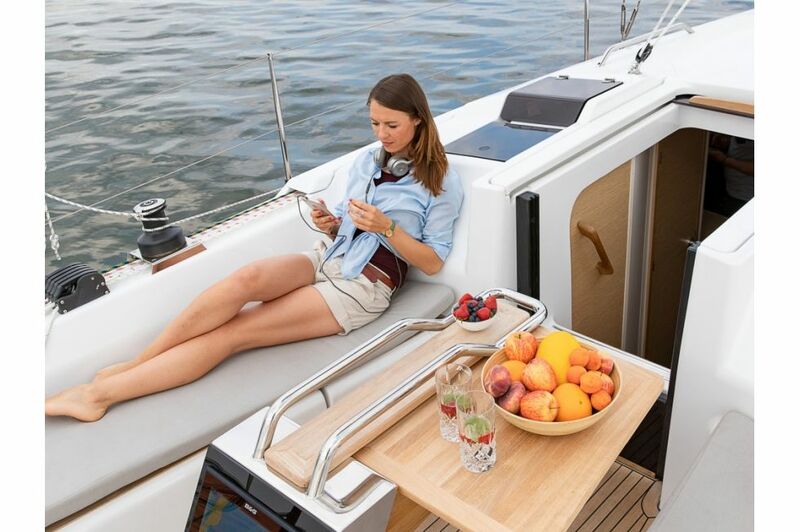 Discover today all that this package provides.